overall, with six of the top ten ads touting emotional themes. percent of ads used a celebrity. the season without being too heavy handed,” added Daboll. Below are the top 10 most liked holiday ads of 2016.
panel of at least 500 consumers, demographically balanced to the U.S.
Ventures, Leapfrog Ventures and WPP. 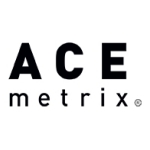 Ace Metrix. Other trademarks are property of their respective owners.